A younger generation of Chinese gamers have come of age as talented game developers. They are determined to make popular games that entice foreign players. Like many young urban Chinese his age, Li Yifei grew up in the late 1990s and early 2000s playing the popular American video games Legend and Warcraft. He remembers using an English-Chinese dictionary to look up translations for the storyline and characters, which had little resemblance to anything in Chinese culture. Today, Li’s generation of Chinese gamers have come of age as talented game developers. They are determined to make popular games that entice foreign players to Google how to play characters such as the Monkey King or Lu Bu. “When I was in college, I dreamed of making a video game that was loved by players around the world,” said Li, who founded the gaming company 37wan Network in 2011. A year later, Li and his colleagues published the Beauties of Qin, a fantastic real-time strategy game set in the first dynasty of China’s imperial periods, the Qin Dynasty (221-207 BC). While targeting domestic players, the game has also been released overseas. But although it has been accepted in Hong Kong, Taiwan, Macau and Southeast Asia, it has failed to penetrate the West. The company's second game, featuring warlords from the Three Kingdoms (AD 220-280), also performed badly overseas. “We learned not to aim too high. At least, we had some success in markets nearby where people were more or less familiar with Chinese culture,” Li said. “It is not easy for Three Kingdoms warlords like Lu Bu and Liao Hua to register in the Western mind, which is more comfortable with Tom and Jerry,” he said. The multiplayer online battle arena game Honors of Kings, created by Chinese tech giant Tencent, has now over 200 million registered users, with 50 million playing daily. Li and his peers went into the gaming industry at the perfect time. China’s tech sector was growing faster than ever; there had been explosive growth in the domestic market; a number of high-caliber code writers were entering the job market. The Chinese games market has grown into the world’s biggest, valued at 166 billion yuan (US$25.2 billion) in 2016, representing a quarter of the global market. Amsterdam-headquartered research firm Newzoo named China the world’s top gaming market by revenue in its 2017 Global Games Market Report. 37wan Network, which focuses on mobile gaming, raked in 5.2 billion yuan last year, creating 1 billion yuan in profit for its shareholders. Six years since inception, the listed company is valued 50 billion yuan. “In China, gaming and online advertisements are the two sub-sectors that promise investors good returns,” Li said. The leader of China’s gaming industry is tech titan Tencent, also the operator of leading Chinese messaging app WeChat. It created multiplayer online battle arena game Honors of Kings, which has over 200 million registered users, with 50 million playing daily. 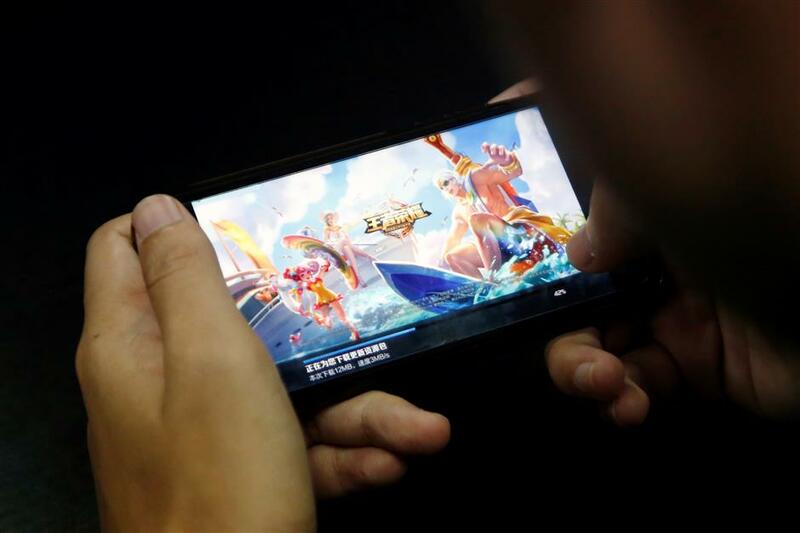 The game was so addictive that Tencent was pressured by parents, teachers and the media to limit playing time for underaged users. Tencent acquired one of the world’s most popular mobile game developers, Supercell, last year and has been localizing Honors of Kings for overseas markets. Called Strike of Kings, the English version was the top downloaded game in Turkey — on both Apple’s app store and Google Play — in April. On Facebook, eager non-Mandarin-speaking players were even searching for the English version before it was released. “No one has yet made an English patch for this game? Is there an English guide for this?” one fan asked. “Foreigners look for an English patch for a Chinese game? This is happening. I want to have a good laugh with pride,” wrote a Chinese game commentator. Analysts say that as the domestic market becomes saturated, it is natural for Chinese game developers to look for overseas consumers. “All Chinese game developers set their eyes abroad. It is not just a natural choice by the market, but the dream of this generation of Chinese game developers,” said Gong Daojun, vice president of Seasun Entertainment. Chinese game companies already make one-third of their revenue abroad, but Li said he has not seen a game rich in Chinese culture break into mainstream Western markets. Technically, games produced by Chinese developers are already at world class level, although it might take longer for the cultural elements to become popular. But there is every reason to be optimistic as Japan has successfully marketed its animation such as Dragon Ball in the West. Lu Xiaokun, president of the Guangdong Entertainment & Game Industry Association, said that it was the ultimate goal of Chinese game developers to turn Chinese cultural content into a worldwide phenomenon.